Preston Montague is an artist, educator, and landscape designer who developed a passion for the natural world while growing up in the rural foothills of Virginia. Currently, he lives in Durham, North Carolina working on projects that encourage stronger relationships between people and their environment for the purpose of improving public health. Preston holds a Master of Landscape Architecture degree from North Carolina State University as well as bachelor’s degrees in horticulture and fine art. His latest body of work, Codex Carolinum, is a series of didactic botanical illustrations using art and storytelling to foster natural science literacy. 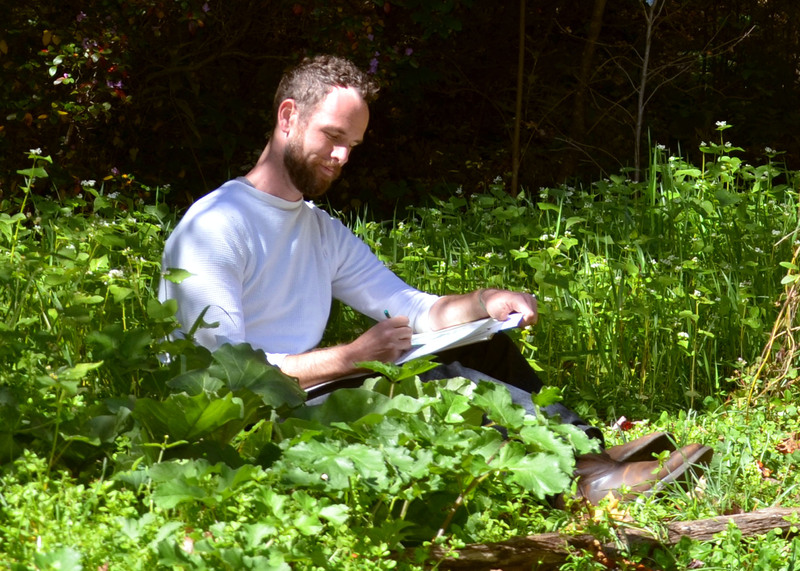 Preston uses botanical illustration as a medium to teach drawing and observation skills in an effort to encourage environmental awareness and natural science literacy. Though he offers advanced classes for students with previous art experience, he is currently focusing on teaching basic techniques for quick sketching. Preston believes that there is a broader need to encourage the development of observation and visualization skills in the outdoors through spontaneous documentation without the pressure of creating labor-intensive, “finished” works of art. Thank you, it was a pleasure to talk to you! Excluding the G person of course.